Narrator and interviewer are both students at USC Aiken and both serve in the student government, and thus have met before. The interview focuses on the narrator’s military career and perspective on transitioning to college life. 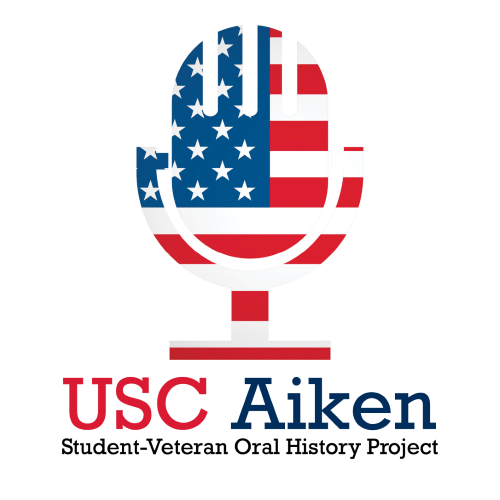 The narrator also plays a prominent role in USC Aiken’s Veterans Success Center and his contributions are covered in the interview. The initial interview file was lost, but the narrator agreed to repeat the interview. Interview begins with narrator’s childhood in Edgefield, SC, then moves to his family life and his decision to enlist. The narrator describes basic training, and then gives his account of his deployment to Iraq and its impact on him. Finally, the interview moves on to the narrator’s post-military life, especially his transition to university, and plans for the future.